When it comes to the kitchen in your home, this is an area that tends to be the hub for your family and day to day activities. This is also the central location for the plumbing of your home, including appliance like your garbage disposal and dishwasher, as well as elements like your faucets and sinks. The kitchen is known for being an area that has a number of kitchen plumbing fixtures and it is crucial that everything works beautifully at all times. Have you found that your kitchen faucet is broken or you are dealing with problems in terms of your refrigerator hooked up to the water line? The last thing that you want is for it to hinder your regular activities. Calling the professionals for kitchen plumbing will be the best answer. Leak Repair – You have tons of pipes in your kitchen as well as valves and fixtures. Even one leak can cause a tremendous headache while wasting all sorts of water. 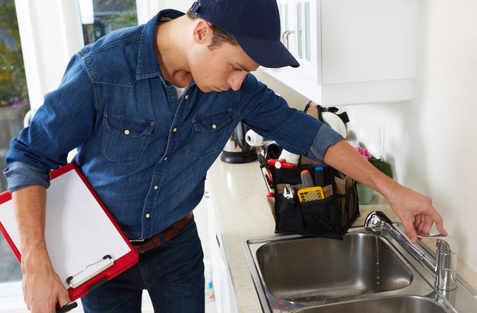 Garbage Disposal Repair – The garbage disposal is an excellent invention, so that last thing that you want is to find that yours is not working properly. Any sort of a clog can cause a major issue and you can trust us to help fix it in a timely fashion. Faucet Repairs – Having faucet problems can put a kink in your cooking, cleaning, and anything else you are doing in your kitchen. You need an expert touch when it comes to faucet repairs as well as the installation of a new faucet when the time comes. Call us today at Trident Plumbing at (425) 321-6043 and we can talk with you about your kitchen plumbing needs.